On behalf of Admin of JML Law, A Professional Law Corporation posted in Wage Fraud on Saturday, Nov 03 2018. If you are “employed” in underground business, or, in other words, a company operating outside the law, you may be wondering if it makes any sense to report underground businesses in California if your employer failed to protect you from occupational hazards, committed wage fraud, or in any other way violated federal and state regulations. Underground businesses harm not only the U.S. government (by defrauding it of tax revenue), but also their own workers. More often than not, companies operating illegally fail to protect their employees from occupational hazards and greatly restrict their employees’ rights in the workplace. This is especially worrying given that a sizeable chunk of the underground economy in the United State deals with highly hazardous and illegal work. Oftentimes, companies operating outside the law fail to protect their workers from all the risks of injury and death in the workplace. “Why would anyone want to work for such a company?” you may be wondering. Well, some people in California have no choice but to find employment with an illegal business. Some people cannot find a job in a law-abiding and legitimate company, which is why they become part of underground businesses. Can you report or sue underground businesses in California? But in no way does it mean that an experienced employment law attorney in Los Angeles or elsewhere in California will not be able to help you. Reporting businesses operating outside the law is usually the only way to get paid for the work you have done for the illegal business or seek compensation for other federal or state labor and safety regulations. More often than not, people employed by companies that operate illegally complain about wage fraud, and other violations of their labor rights. Unfortunately, a large percentage of companies operating illegally pay their employees in cash, which often results in tax fraud, tax evasion, payroll fraud and other fraud schemes in employment. Fact: According to 2012 estimations by California’s Employment Development Department (EDD), the net national tax gap caused by underground businesses was roughly $385 billion. How to file an OSHA complaint against underground business? It goes without saying that workers who work for companies operating in California illegally lose benefits and other protections offered by federal and state law. Nevertheless, you still have a right to file a complaint with the Occupational Safety and Health Act (OSHA) to request the inspection of your workplace if you have a reason to believe that your employer failed to comply with federal or state safety regulations or if there is a serious hazard in the workplace. In fact, you do not necessarily have to know for a fact that a specific OSHA standard has been violated by your employer to complain. However, do not wait too long to file a claim. Under California law, you can file an OSHA complaint only if the violation currently exists or existed in the past six months. 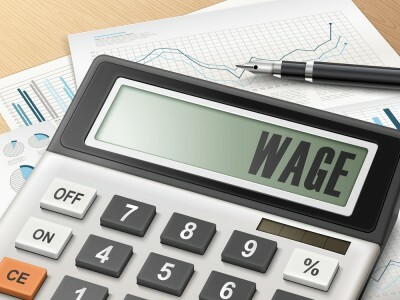 If you work for a company operating outside the law, and your employer violated your employee’s rights, consult with our Los Angeles wage fraud attorney immediately. Contact JML Law to schedule a free consultation about your particular situation. Call at 818-610-8800 today.